Comedian and social critic George Carlin never toed the line. He didn’t do things the way one was “supposed” to, and he saw that difference as independence, or freedom. His childhood wasn’t necessarily “typical,” either, but he saw that as a strength as well. And he credited his Solo Mom, Mary Carlin (née Bearey), with instilling independence in him at an early age. 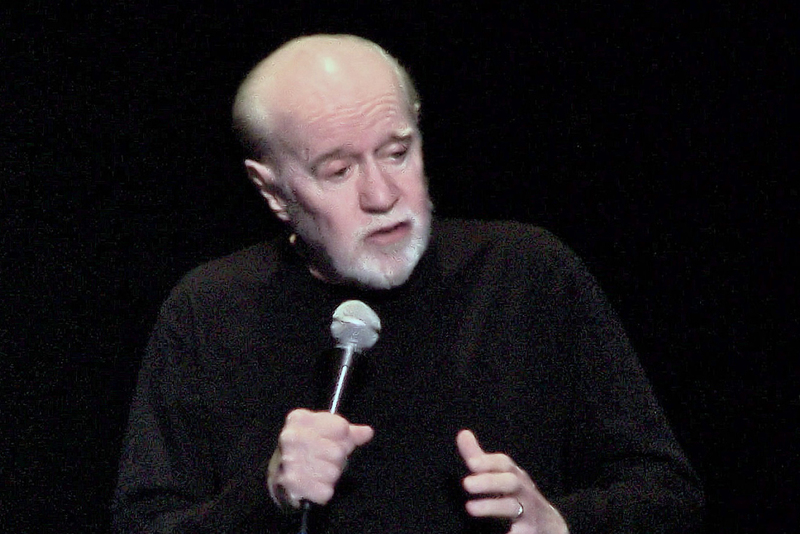 “As a child, my father was gone,” Carlin explained in a wide-ranging interview with Psychology Today that took place shortly before his death from heart failure in June 2008. Mary had left her husband, Patrick Carlin, Sr., when George was two months old because of Patrick’s alcoholism. “[My father] drank too much and he was a bully and [my mom] had the courage to take two boys, one of them two months old and one of them 5 years old, and to leave him in 1937 and get back into the business world and get a job and raise us through the end of the Depression and through the Second World War,” Carlin remembered. Carlin took that wit and made his own way.